It’s almost that time of the year to honor dads all across the country for all they do for their children and their families. 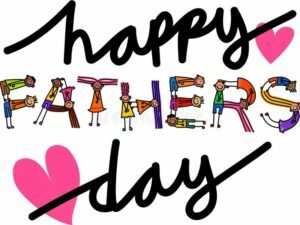 And even though fathers haven’t been celebrated as long as mothers (Father’s Day didn’t become an official holiday until 58 years after Mother’s Day), they are certainly no less important! No matter what type of father you had growing up, he was a mentor and role model that allowed you to grow into the person you are today. He taught you, guided you, and showed you through example how to navigate through life and be accountable, kind, and loving to others. Father’s Day is the perfect time to show Dad just how important he is to you and what a huge impact he had on your life. Being a dad is not an easy job as a provider and the head of the family. While it is a lot of responsibility, it is well worth the effort. If you are a dad yourself, it is also a time to let your family show their own appreciation of all you do for them and thank you for being such a good role model and mentor. Instead of the same tired old gifts normally given to dads to celebrate Father’s Day (those multi-colored ties, sweaters, new slippers, tools, etc. ), what can you do for Dad that shows your appreciation and also reflects the values he taught you? How can you make a difference? In this electronic age, life just gets busier and busier. One of the top ways a dad can make an impact on the important people in his life (be it their children or their own dad) is by simply taking the time and being there for them. Shut off that phone, talk, listen, give advice, and do meaningful activities together. There is an estimated 24 million children in the U.S. that lack a father figure in their lives. Be that father figure, mentor, and role model to kids who need it by donating time to children’s organizations like the Boys and Girls Club, Boy Scouts, and Big Brothers Big Sisters. Help children in need while being a good example of giving to your own kids. Make a financial donation in your father’s name to a children’s organization or social service agency who helps children with basic needs. Children learn by example and what better way to encourage your kids to do good themselves by seeing you do good? Create a social project with your father and/or children that helps the community at large in a positive way.